GlaxoSmithKline Malaysia presents Polident Denture Care, the product for keeping your dentures in place and in good shape, as the way to cope with the kinds of food that would normally be difficult with loose teeth. 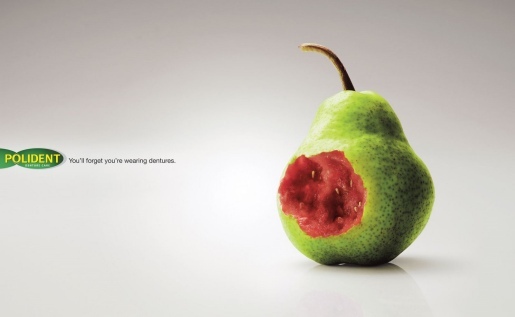 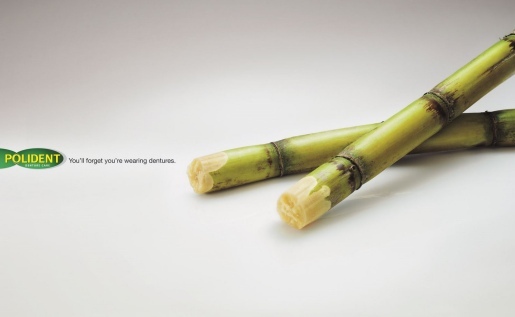 The print campaign, launched in Malaysia, shows a pear, apple, sugarcane and a carrot, each with unexpectedly soft interiors. 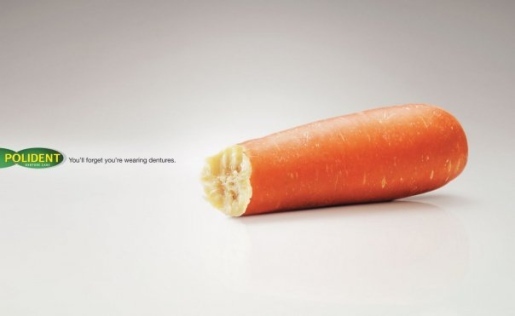 “You’ll forget you’re wearing dentures”. 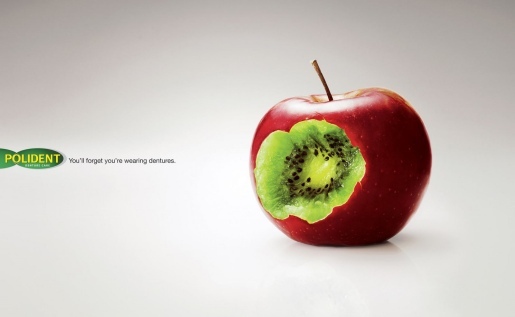 The Polident Fruit Bites campaign was developed at Grey Group Kuala Lumpur, Malaysia, by executive creative director David Sin, copywriter Lee Wong Onn, art director Wong Kai Ming, copywriter Jeff Orr, and photographer Raymond Sih (IFL Studio).